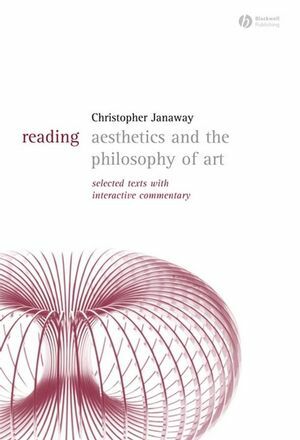 Designed for readers with no or little prior knowledge of the subject, this concise anthology brings together key texts in aesthetics and the philosophy of art. Designed for readers with no or little prior knowledge of the subject. Presents two contrasting pieces on each of six topics. Texts range from Plato’s famous critique of art in the ‘Republic’ through Nietzsche’s ‘The Birth of Tragedy’ to Barthes’ ‘The Death of the Author’ 'and pieces in recent philosophical aesthetics from a number of traditions. Interactive editorial commentary helps readers to engage with the philosophical train of thought. Explains the argumentative and historical context in which each piece was written. Includes questions for debate and suggestions for further reading. Christopher Janaway is Professor of Philosophy at University of Southampton. His recent publications include Schopenhauer: A Very Short Introduction (2002) and Reading Philosophy: Selected Texts with a Method for Beginners (co-edited with Samuel Guttenplan and Jennifer Hornsby, Blackwell, 2003). 1. Art, value, and philosophy. Plato, Republic, Book 10 (extract). Friedrich Nietzsche, The Birth of Tragedy (extracts). 2. Aesthetics, art, and nature. Noël Carroll, ‘Art and Interaction’. R.W. Hepburn, ‘Contemporary Aesthetics and the Neglect of Natural Beauty’. David Hume, ‘Of the Standard of Taste’. Immanuel Kant, Critique of the Power of Judgment (extract). R.G. Collingwood, The Principles of Art (extracts). George Dickie, ‘The Institutional Theory of Art’. Roland Barthes, ‘The Death of the Author’. Arthur C. Danto, The Transfiguration of the Commonplace (extracts). Nelson Goodman, Languages of Art (extracts). Richard Wollheim, Painting as an Art (extract).